The Guru-Disciple tradition is a unique feature of Bharatiya /Indian culture. My dear friends, today, on the occasion of Gurupournima, let us understand the importance of the Guru in our life. The Guru-Disciple tradition is a unique feature of our nation and culture. The Guru is the one who takes out ignorance from us.Our teachers are our Guru. That is why, ‘Teacher’s Day’ should be celebrated on the auspicious day of Gurupournima to offer gratitude at the feet of our teachers. First let us understand the meaning of the word ‘Guru’. ‘Gu’ means ‘darkness’ and ‘ru’ means ‘removal’.Guru is the one who removes the ignorance of disorder from our life and teaches us how to live a blissful life. A. Our parents, who inculcate good values in us and help us blend with society are our first Guru ! 1. To wake up early in the morning and and pay obeisance to Mother Earth.To recite the shloka – Karagre Vasate…..
2. Why and how to pay respect to our elders. 3. To recite ‘Shubham karoti’ in the evening. To light a lamp, since the lamp removes darkness. 4. 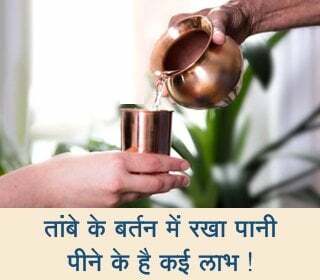 To greet our friends with ‘Namaskar’ (A respectful greeting -joining the palms with the fingertips pointing upwards and held close to the chest), as God is present in every individual. 5. To greet our guests, like God.when they visit us. Since our parents tell us all these things, they are our first Guru. That is why we must respect and salute them everyday. Now tell me, how many of you touch your parents feet everyday. Now let us resolve that from today on wards we all will salute our parents everyday; this is the real gratitude towards them. B. Our teachers, who teach us so many things to make us better human beings are our second Guru ! Actually, Teacher’s day must be celebrated on the day of Gurupournima. On this day we should bow down in respect to the teachers and ask for their blessings. Our teachers are our Guru and we are disciples. Therefore, we must celebrate Teacher’s Day on this day only. Our teachers give us knowledge of various subjects. They teach us his story which awakens our patriotism. They give us broad view of life – that we should live for our Nation, not for ourselves. They ask us to sacrifice like the great revolutionaries –Bhagat Singh, Rajguru, Sukhdev etc. who laid their life for the nation. They teach us that “Sacrifice is the base of our life.” Only children who possess the virtue of ‘sacrifice’ can protect the Nation. History decides our ideal leaders, such as Shivaji Maharaj, Veer Savarkar who possessed the great virtue of ‘sacrifice’. We must follow them. C. Our teachers take us to the path of progress by teaching us various subject with an unselfish attitude ! Our teachers teach us various Bharatiya languages and thus awaken our pride of our mother tongue. They also create a liking for the study of our Holy texts like the Ramayan, the Mahabharat, the Dasbodh, etc. Through this, they introduce us to our saints and try to mould us like them. Besides, they also teach us the subjects like social science and economics and make us aware that we owe to the society in which we live. Through Economics, they teach us to earn money by fair means and not by corrupt means. Today we observe that our whole nation is enveloped by corruption. Teachers feel that we should change this sad state of affairs. 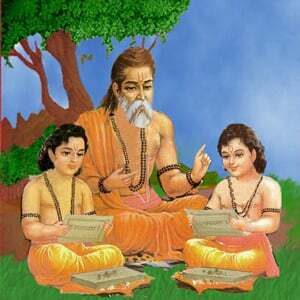 D. Gurupournima is the day to express gratitude towards such great teachers : So my pupil friends, you must have realised that teachers teach us so many values in life and in order to bring them in practice they punish us when required.We should lead an ideal life is the only real motive behind this. Some children make a fun of their teachers. This is a sin. On this day of Gurupournima, we should apologise to them for that and express gratitude for all that they teach us. A. The Spiritual Guru reveals to us the true meaning of our life : So far, in this article we have seen about the Gurus who guide us in this material world. Now, let us see about the Spiritual Guru, our third Guru. The Guru appears in everybody’s life, such as Shri Krushna-Arjun, Shri Ramkrushna Paramhansa – Swami Vivekanand, Samarth Ramdas Swam – Shivaji Maharaj is the tradition of Guru-Disciple relationship and is the uniqueness of our nation. The Spiritual Guru reveals our true identity to us. Owing to ignorance, we are under the false impression that we are just a material body; but in reality, we are not the body, but the soul. It means God Himself resides in us, and does all our actions. However, because of ignorance stemming from our ego, we feel that we are the ones who perform all the actions. Just imagine, will we be able to do anything if our soul is separated from our body? Therefore, God Himself performs all our actions. He digests food. He makes blood. The Spiritual Guru makes us aware of this reality. B. A simple way to attain bliss – Removal of personality defects : Because of our ego, we consider ourselves to be different from God. That is why, we are always unhappy in life.So if one wants the Spiritual Guru in one’s life, one must have prayer, gratitude and chanting of God’s name in one’s life.We must express gratitude whenever we undertake any job and pray to the God for doing that job in a better way.In order to acquire the grace of a Guru, everyday we should write down the mistakes that we make and try to find out the root cause behind those mistakes. 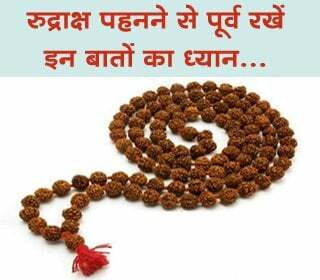 This will help in quick removal of our personality defects, entrance of God’s qualities and attainment of bliss. Now, let us express gratitude at God’s feet and pray to Him to help us bring into practice the formula that we understood. – Shri. Rajendra Pavaskar (Guruji),Panvel.